Volvo has long been known, first and foremost, for safety. Forget about that for a minute, though, because this Chinese-owned Swedish brand has just built one of the world’s best luxury cars in the new S90. With one exception, this is among the top luxury sedans I’ve ever driven. It has sophisticated features to pamper you, materials that make you feel like royalty and stunning design to match, putting it squarely in the same caliber as — and in some cases surpassing — the best that Mercedes, BMW and Lexus have to offer in this class. That one exception? The engine. My tester came with what Volvo calls the T6, a supercharged and turbocharged 2.0-liter that — despite the “6” in its name — has but four cylinders. It looks great on paper, with a 316-horsepower output, but is less impressive on the road with a slightly raspy exhaust note and less low-end torque than I’d like to have at my toes’ disposal. 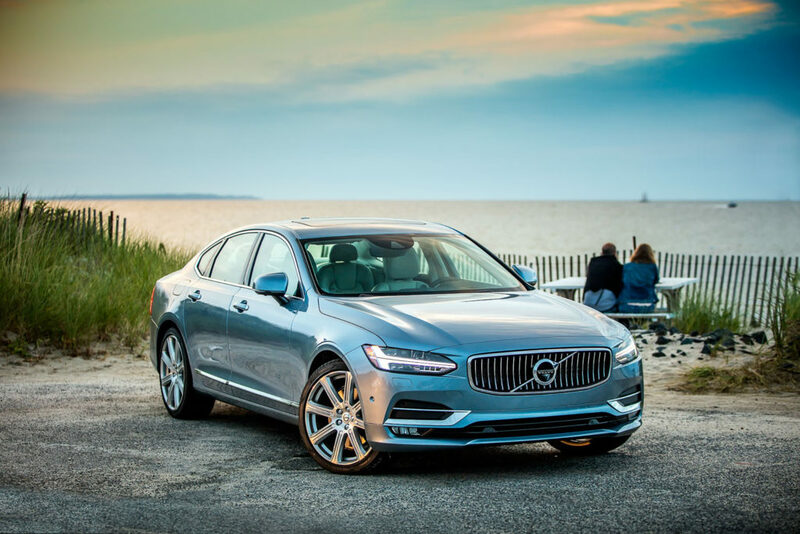 The new Volvo S90 sets high marks as a luxury car, from its calming cabin to its sleek body. Granted, that’s getting very picky. And with a starting price over $48,000, I’m going to be. Nitpick as I might, there’s not much else to complain about on the S90. The digital interface, usually my first gripe in today’s luxury cars, is spectacular. Other than on Teslas, I can’t think of any digital systems that have a better interface than Google or Apple can create. This is one does. It feels as good as anything out of Silicon Valley with controls that are quick and easy to operate with the flick of a finger. It’s also the first car to come with semi-autonomous driving features as standard equipment, Volvo says. A beautifully designed touchscreen is the centerpiece of the S90’s European-style cabin. The exterior design is eye-catching — a bit more aggressive than most of its competitors in this conservative luxury class, perhaps — but not as unusual as its interior. To my eye, it’s sleek and handsome without crossing the line into ostentatious. If you want to have a car with monstrous power and some Earth-saving cred at the same time, Volvo offers the T8 plug-in hybrid powertrain. It makes 400 horsepower and a mind-blowing 472 pound-feet of torque while still delivering 29 mpg on the highway. While I haven’t driven the T8 powertrain in the S90, I have experienced it in the bigger, heavier XC90 SUV and thought it was brilliant. It’s a luxury sedan that pampers you in every way: style, materials and technology. 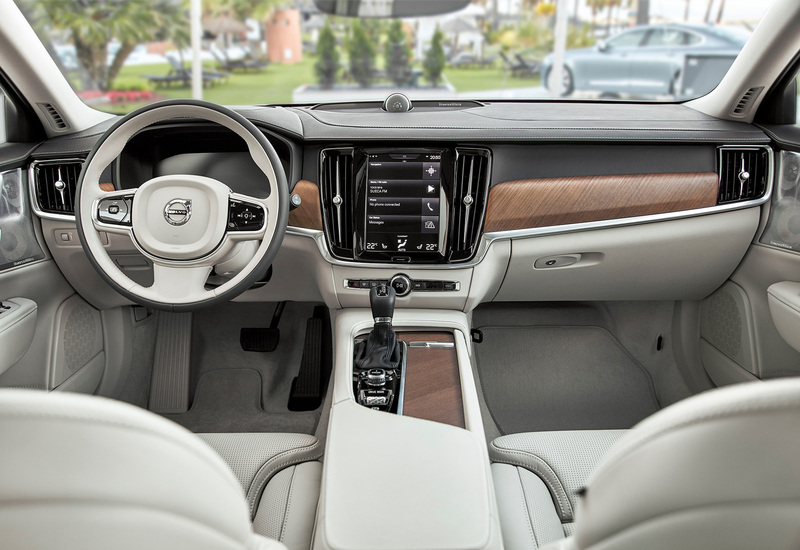 It’s a compelling car even when you don’t factor in Volvo’s advanced safety tech.